MENTION safety nets to people and they immediately think of the large nets strung under flying trapeze acts at the circus. However, safety nets also have their industrial uses. 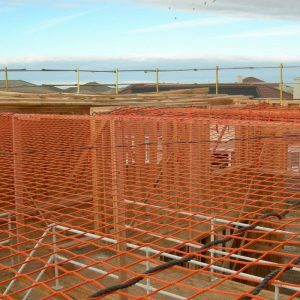 On New Zealand’s construction sites safety nets are expected to become an increasingly common sight over the next few years as they address the safety concerns of workers working at height, along with the concerns of the Department of Labour, Health and Safety (formerly OSH). Nobody knows this better than Craig Daly, general manager of Safety Nets NZ, who originally hails from the UK, where safety netting has long been the preferred method of fall protection. 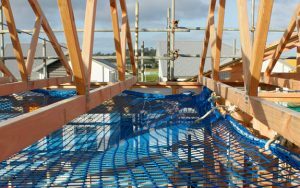 Safety Nets NZ was established to ramp up the awareness of safety nets as a means to ensure the safety of site personnel working at height in this country. The company has imported a specialist rigger from the UK and in recent months has been busy ensuring that the whole operation is fully certified and satisfies all safety requirements. Reduce potential falls and minimises effects. Nets are fitted as close as possible to the working level. They allow a wide range of activity to continue working with minimum restriction. Allow greater mobility for people working above the nets. Reduced crane times and costs. 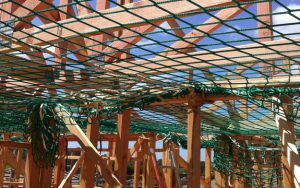 Contact us to get the safety nets which comply with BS EN 1263-1.